66 St Nicholas Pl is a apartment located at 66 St Nicholas Pl, New York, NY 10032, in the area is commonly known as Hamilton Heights. Built in 1920, this mid-rise elevator building is 6 stories tall and contains 85 apartments. 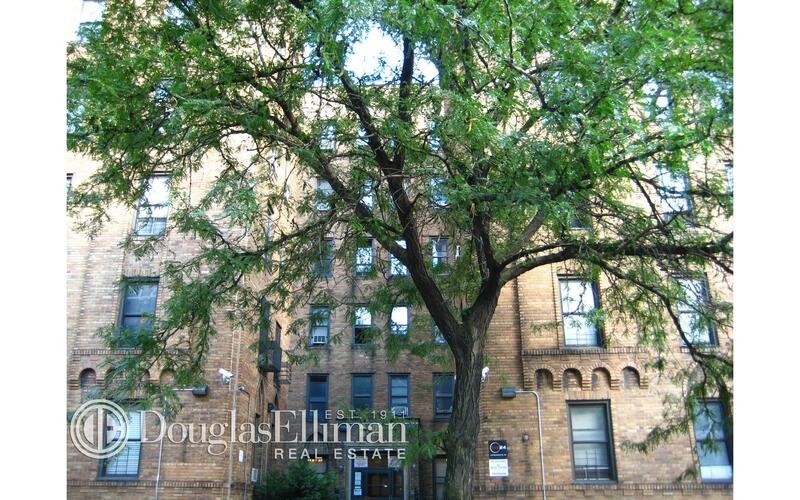 It is owned by 66 St. Nicholas Place and managed by Dennis Ovalle, of Affordable Apartment Management. Status last updated on Apartable at 2015-12-09 21:11:44 UTC. Status last updated on Apartable at 2015-12-09 21:04:23 UTC. NYC complaint reference #1-1-1061915052. More than one complaint was received for this building-wide condition.This complaint status is for the initial complaint. The following complaint conditions are still open. HPD may attempt to contact you to verify the correction of the condition or may conduct an inspection. Status last updated on Apartable at 2015-02-05 17:17:24 UTC. NYC complaint reference #1-1-1061919682. More than one complaint was received for this building-wide condition.This complaint status is for the initial complaint. The following complaint conditions are still open. HPD may attempt to contact you to verify the correction of the condition or may conduct an inspection. Status last updated on Apartable at 2015-02-05 17:14:21 UTC. NYC complaint reference #1-1-1061866042. The following complaint conditions are still open. HPD may attempt to contact you to verify the correction of the condition or may conduct an inspection. Status last updated on Apartable at 2015-02-05 17:24:06 UTC. NYC complaint reference #1-1-1061915312. More than one complaint was received for this building-wide condition.This complaint status is for the initial complaint. The following complaint conditions are still open. HPD may attempt to contact you to verify the correction of the condition or may conduct an inspection. Status last updated on Apartable at 2015-02-05 17:19:49 UTC. NYC complaint reference #1-1-1061921572. The following complaint conditions are still open. HPD may attempt to contact you to verify the correction of the condition or may conduct an inspection. Status last updated on Apartable at 2015-02-05 17:11:56 UTC. NYC complaint reference #1-1-1061920442. More than one complaint was received for this building-wide condition.This complaint status is for the initial complaint. The following complaint conditions are still open. HPD may attempt to contact you to verify the correction of the condition or may conduct an inspection. Status last updated on Apartable at 2015-02-05 17:23:46 UTC. NYC complaint reference #1-1-1060926372. The Department of Housing Preservation and Development was not able to gain access to your apartment or others in the building to inspect for a lack of heat or hot water. The complaint has been closed. NYC complaint reference #1-1-1059828922. More than one complaint was received for this building-wide condition.This complaint status is for the initial complaint. The Department of Housing Preservation and Development contacted an occupant of the apartment and verified that the following conditions were corrected. The complaint has been closed. Status last updated on Apartable at 2015-02-05 16:59:18 UTC. NYC complaint reference #1-1-1059253002. The Department of Housing Preservation and Development was not able to gain access to your apartment or others in the building to inspect for a lack of heat or hot water. The complaint has been closed. Status last updated on Apartable at 2015-02-05 17:07:59 UTC. NYC complaint reference #1-1-1059304212. More than one complaint was received for this building-wide condition.This complaint status is for the initial complaint. The Department of Housing Preservation and Development contacted a tenant in the building and verified that the following conditions were corrected. The complaint has been closed. Status last updated on Apartable at 2015-02-05 17:04:06 UTC. NYC complaint reference #1-1-1058890842. More than one complaint was received for this building-wide condition.This complaint status is for the initial complaint. The Department of Housing Preservation and Development contacted a tenant in the building and verified that the following conditions were corrected. The complaint has been closed. Status last updated on Apartable at 2015-02-05 17:21:42 UTC. NYC complaint reference #1-1-1058847652. More than one complaint was received for this building-wide condition.This complaint status is for the initial complaint. The Department of Housing Preservation and Development contacted an occupant of the apartment and verified that the following conditions were corrected. The complaint has been closed. Status last updated on Apartable at 2015-02-05 17:09:26 UTC. NYC complaint reference #1-1-1058828502. More than one complaint was received for this building-wide condition.This complaint status is for the initial complaint. The Department of Housing Preservation and Development contacted a tenant in the building and verified that the following conditions were corrected. The complaint has been closed. Status last updated on Apartable at 2015-02-05 17:05:59 UTC. NYC complaint reference #1-1-1058527572. More than one complaint was received for this building-wide condition.This complaint status is for the initial complaint. The Department of Housing Preservation and Development contacted an occupant of the apartment and verified that the following conditions were corrected. The complaint has been closed. Status last updated on Apartable at 2015-02-05 17:11:26 UTC. NYC complaint reference #1-1-1057613622. The Department of Housing Preservation and Development was not able to gain access to your apartment or others in the building to inspect for a lack of heat or hot water. The complaint has been closed. Status last updated on Apartable at 2015-02-05 17:14:47 UTC. NYC complaint reference #1-1-1057612682. More than one complaint was received for this building-wide condition.This complaint status is for the initial complaint. The Department of Housing Preservation and Development contacted a tenant in the building and verified that the following conditions were corrected. The complaint has been closed. Status last updated on Apartable at 2015-02-05 16:48:50 UTC. Status last updated on Apartable at 2015-12-09 20:35:37 UTC. NYC complaint reference #1-1-1054151582. The Department of Housing Preservation and Development responded to a complaint of no heat or hot water and was advised by a tenant in the building that heat and hot water had been restored. Status last updated on Apartable at 2015-02-05 17:16:52 UTC. NYC complaint reference #1-1-1053426462. More than one complaint was received for this building-wide condition.This complaint status is for the initial complaint. The Department of Housing Preservation and Development contacted an occupant of the apartment and verified that the following conditions were corrected. The complaint has been closed. Status last updated on Apartable at 2015-02-05 17:10:38 UTC. NYC complaint reference #1-1-1053091842. More than one complaint was received for this building-wide condition.This complaint status is for the initial complaint. The Department of Housing Preservation and Development contacted an occupant of the apartment and verified that the following conditions were corrected. The complaint has been closed. Status last updated on Apartable at 2015-02-05 16:58:51 UTC. NYC complaint reference #1-1-1052166052. More than one complaint was received for this building-wide condition.This complaint status is for the initial complaint. The Department of Housing Preservation and Development contacted a tenant in the building and verified that the following conditions were corrected. The complaint has been closed. NYC complaint reference #1-1-1052119572. More than one complaint was received for this building-wide condition.This complaint status is for the initial complaint. The Department of Housing Preservation and Development contacted a tenant in the building and verified that the following conditions were corrected. The complaint has been closed. Status last updated on Apartable at 2015-02-05 17:02:55 UTC. NYC complaint reference #1-1-1051716212. The Department of Housing Preservation and Development was not able to gain access to your apartment or others in the building to inspect for a lack of heat or hot water. The complaint has been closed. Status last updated on Apartable at 2015-02-05 17:06:59 UTC. NYC complaint reference #1-1-1052134732. More than one complaint was received for this building-wide condition.This complaint status is for the initial complaint. The Department of Housing Preservation and Development contacted a tenant in the building and verified that the following conditions were corrected. The complaint has been closed. Status last updated on Apartable at 2015-02-05 16:59:08 UTC. NYC complaint reference #1-1-1052101082. More than one complaint was received for this building-wide condition.This complaint status is for the initial complaint. The Department of Housing Preservation and Development contacted an occupant of the apartment and verified that the following conditions were corrected. The complaint has been closed. Status last updated on Apartable at 2015-02-05 17:00:40 UTC. NYC complaint reference #1-1-1050364232. More than one complaint was received for this building-wide condition.This complaint status is for the initial complaint. The following complaint conditions are still open. HPD may attempt to contact you to verify the correction of the condition or may conduct an inspection. Status last updated on Apartable at 2015-02-05 17:43:10 UTC. NYC complaint reference #1-1-1050353922. More than one complaint was received for this building-wide condition.This complaint status is for the initial complaint. The following complaint conditions are still open. HPD may attempt to contact you to verify the correction of the condition or may conduct an inspection. Status last updated on Apartable at 2015-02-05 17:29:01 UTC. NYC complaint reference #1-1-1050541712. More than one complaint was received for this building-wide condition.This complaint status is for the initial complaint. The following complaint conditions are still open. HPD may attempt to contact you to verify the correction of the condition or may conduct an inspection. Status last updated on Apartable at 2015-02-05 17:30:15 UTC. NYC complaint reference #1-1-1050265192. The following complaint conditions are still open. HPD may attempt to contact you to verify the correction of the condition or may conduct an inspection. Status last updated on Apartable at 2015-02-05 17:26:36 UTC. Status last updated on Apartable at 2015-04-20 12:00:00 UTC. NYC complaint reference #1-1-1047943532. More than one complaint was received for this building-wide condition.This complaint status is for the initial complaint. The Department of Housing Preservation and Development contacted an occupant of the apartment and verified that the following conditions were corrected. The complaint has been closed. Status last updated on Apartable at 2015-02-05 17:47:41 UTC. NYC complaint reference #1-1-1047589032. More than one complaint was received for this building-wide condition.This complaint status is for the initial complaint. The Department of Housing Preservation and Development contacted an occupant of the apartment and verified that the following conditions were corrected. The complaint has been closed. Status last updated on Apartable at 2015-02-05 17:57:53 UTC. NYC complaint reference #1-1-1047418972. The Department of Housing Preservation and Development inspected the following conditions. No violations were issued. The complaint has been closed. Status last updated on Apartable at 2015-02-05 17:50:57 UTC. NYC complaint reference #1-1-1047561062. More than one complaint was received for this building-wide condition.This complaint status is for the initial complaint. The Department of Housing Preservation and Development contacted a tenant in the building and verified that the following conditions were corrected. The complaint has been closed. Status last updated on Apartable at 2015-02-05 17:34:24 UTC. NYC complaint reference #1-1-1047528502. More than one complaint was received for this building-wide condition.This complaint status is for the initial complaint. The Department of Housing Preservation and Development contacted an occupant of the apartment and verified that the following conditions were corrected. The complaint has been closed. Status last updated on Apartable at 2015-02-05 17:51:20 UTC. NYC complaint reference #1-1-1046088412. More than one complaint was received for this building-wide condition.This complaint status is for the initial complaint. The Department of Housing Preservation and Development contacted a tenant in the building and verified that the following conditions were corrected. The complaint has been closed. Status last updated on Apartable at 2015-02-05 17:47:25 UTC. NYC complaint reference #1-1-1045969322. The Department of Housing Preservation and Development responded to a complaint of no heat or hot water and was advised by a tenant in the building that heat and hot water had been restored. Status last updated on Apartable at 2015-02-05 17:47:19 UTC. NYC complaint reference #1-1-1044258782. More than one complaint was received for this building-wide condition.This complaint status is for the initial complaint. The Department of Housing Preservation and Development contacted an occupant of the apartment and verified that the following conditions were corrected. The complaint has been closed. Status last updated on Apartable at 2015-02-05 17:44:20 UTC. NYC complaint reference #1-1-1043971212. More than one complaint was received for this building-wide condition.This complaint status is for the initial complaint. The Department of Housing Preservation and Development contacted an occupant of the apartment and verified that the following conditions were corrected. The complaint has been closed. Status last updated on Apartable at 2015-02-05 17:59:26 UTC. NYC complaint reference #1-1-1043144202. The Department of Housing Preservation and Development responded to a complaint of no heat or hot water and was advised by a tenant in the building that heat and hot water had been restored. Status last updated on Apartable at 2015-02-05 17:54:59 UTC. NYC complaint reference #1-1-1043169482. More than one complaint was received for this building-wide condition.This complaint status is for the initial complaint. The Department of Housing Preservation and Development contacted an occupant of the apartment and verified that the following conditions were corrected. The complaint has been closed. Status last updated on Apartable at 2015-02-05 17:58:35 UTC. NYC complaint reference #1-1-1042394692. More than one complaint was received for this building-wide condition.This complaint status is for the initial complaint. The Department of Housing Preservation and Development contacted a tenant in the building and verified that the following conditions were corrected. The complaint has been closed. NYC complaint reference #1-1-1042362612. The Department of Housing Preservation and Development responded to a complaint of no heat or hot water and was advised by a tenant in the building that heat and hot water had been restored. Status last updated on Apartable at 2015-02-05 17:27:48 UTC. Status last updated on Apartable at 2015-12-09 20:38:36 UTC. NYC complaint reference #1-1-1040168022. More than one complaint was received for this building-wide condition.This complaint status is for the initial complaint. The Department of Housing Preservation and Development contacted a tenant in the building and verified that the following conditions were corrected. The complaint has been closed. Status last updated on Apartable at 2015-02-05 17:30:06 UTC. NYC complaint reference #1-1-1039668402. The Department of Housing Preservation and Development responded to a complaint of no heat or hot water and was advised by a tenant in the building that heat and hot water had been restored. Status last updated on Apartable at 2015-02-05 17:43:40 UTC. Status last updated on Apartable at 2015-04-15 12:00:00 UTC. NYC complaint reference #1560/14. The Department of Housing Preservation and Development inspected the following conditions. Violations were issued. Information about specific violations is available at www.nyc.gov/hpd. Status last updated on Apartable at 2014-11-10 22:40:57 UTC. NYC complaint reference #1560/14. The Department of Housing Preservation and Development inspected the following conditions. No violations were issued. The complaint has been closed. Status last updated on Apartable at 2014-10-08 12:00:00 UTC. NYC complaint reference #1-1-1018211562. The Department of Housing Preservation and Development contacted an occupant of the apartment and verified that the following conditions were corrected. The complaint has been closed. Status last updated on Apartable at 2014-11-10 22:41:18 UTC. NYC complaint reference #1-1-1018211562. The Department of Housing Preservation and Development inspected the following conditions. No violations were issued. The complaint has been closed. NYC complaint reference #1-1-1018211562. The Department of Housing Preservation and Development inspected the following conditions. Violations were issued. Information about specific violations is available at www.nyc.gov/hpd. Status last updated on Apartable at 2014-11-10 22:41:19 UTC. NYC complaint reference #1-1-996608222. The following complaint conditions are still open. HPD may attempt to contact you to verify the correction of the condition or may conduct an inspection. Status last updated on Apartable at 2014-11-10 22:09:37 UTC. NYC complaint reference #1-1-980335102. The Department of Housing Preservation and Development was not able to gain access to inspect the following conditions. The complaint has been closed. Status last updated on Apartable at 2014-11-10 22:12:40 UTC. Status last updated on Apartable at 2014-05-23 12:00:00 UTC. NYC complaint reference #1-1-969918372. The Department of Housing Preservation and Development inspected the following conditions. No violations were issued. The complaint has been closed. Status last updated on Apartable at 2014-08-13 23:38:39 UTC. NYC complaint reference #1-1-966379882. The Department of Housing Preservation and Development inspected the following conditions. No violations were issued. The complaint has been closed. Status last updated on Apartable at 2014-08-13 23:46:05 UTC. Status last updated on Apartable at 2015-10-09 22:27:45 UTC. NYC complaint reference #1-1-961764172. More than one complaint was received for this building-wide condition.This complaint status is for the initial complaint. The Department of Housing Preservation and Development contacted a tenant in the building and verified that the following conditions were corrected. The complaint has been closed. Status last updated on Apartable at 2014-08-14 00:06:01 UTC. NYC complaint reference #1-1-961720472. The Department of Housing Preservation and Development was not able to gain access to your apartment or others in the building to inspect for a lack of heat or hot water. The complaint has been closed. Status last updated on Apartable at 2014-08-14 00:02:53 UTC. NYC complaint reference #1-1-961575942. The following complaint conditions are still open. HPD may attempt to contact you to verify the correction of the condition or may conduct an inspection. Status last updated on Apartable at 2014-08-14 00:05:16 UTC. NYC complaint reference #1-1-953185552. The Department of Housing Preservation and Development inspected the following conditions. No violations were issued. The complaint has been closed. Status last updated on Apartable at 2014-08-13 23:55:45 UTC. Status last updated on Apartable at 2014-06-04 12:00:00 UTC. NYC complaint reference #1-1-948129282. The Department of Housing Preservation and Development was not able to gain access to your apartment or others in the building to inspect for a lack of heat or hot water. The complaint has been closed. Status last updated on Apartable at 2014-08-14 00:33:26 UTC. NYC complaint reference #1-1-945027491. The Department of Housing Preservation and Development contacted an occupant of the apartment and verified that the following conditions were corrected. The complaint has been closed. Status last updated on Apartable at 2014-08-14 00:34:15 UTC. Status last updated on Apartable at 2014-05-25 12:00:00 UTC. Status last updated on Apartable at 2014-05-30 12:00:00 UTC. Status last updated on Apartable at 2014-06-17 12:00:00 UTC. Status last updated on Apartable at 2014-05-01 12:00:00 UTC. Status last updated on Apartable at 2014-08-14 00:19:43 UTC. Status last updated on Apartable at 2014-08-14 00:24:20 UTC. Status last updated on Apartable at 2013-08-13 12:00:00 UTC. Status last updated on Apartable at 2013-05-12 12:00:00 UTC. NYC complaint reference #1-1-838875661. More than one complaint was received for this building-wide condition.This complaint status is for the initial complaint. Status last updated on Apartable at 2013-06-12 19:49:31 UTC. Status last updated on Apartable at 2013-06-12 19:39:21 UTC. Status last updated on Apartable at 2013-06-12 19:57:27 UTC. The Department of Housing Preservation and Development inspected the following conditions. Violations were previously issued for these conditions. Information about specific violations is available at www.nyc.gov/hpd. Status last updated on Apartable at 2013-03-29 12:00:00 UTC. Status last updated on Apartable at 2013-05-14 12:00:00 UTC. Status last updated on Apartable at 2013-06-12 19:52:09 UTC. Status last updated on Apartable at 2013-04-10 12:00:00 UTC. Status last updated on Apartable at 2013-04-22 12:00:00 UTC. Status last updated on Apartable at 2013-04-03 12:00:00 UTC. Status last updated on Apartable at 2013-06-12 19:45:49 UTC. Status last updated on Apartable at 2013-06-12 21:51:00 UTC. Status last updated on Apartable at 2012-12-14 12:00:00 UTC. Status last updated on Apartable at 2012-08-06 12:00:00 UTC. Status last updated on Apartable at 2013-12-30 21:04:47 UTC. Status last updated on Apartable at 2012-12-10 12:00:00 UTC. Status last updated on Apartable at 2013-12-30 21:05:26 UTC. Write a Review Have you lived at 66 St Nicholas Pl? Tell our community about your experience. No reviews of 66 St Nicholas Pl yet. Be the first to write one!